What Are the Advantages of Using Centrifugal Water Pumps? Small in size, centrifugal pumps use rotary motion to create generous amounts of hydrodynamic energy. All of the components are mounted on a drive shaft, a configuration that uses a conventional motor or engine to generate spinning kinetic energy. Away from that electromagnetic motor, down at the impeller housing, the pumping mechanism busily spins a specially profiled metal or plastic disc. What advantages are offered by this fast spinning design? Did you know that some pumps are longer than a man is tall? They use a special screw design, but that elongated build obviously takes up precious mounting space. Centrifugal pumps employ a rotary architecture, so every working part is wrapped around a stubby drive shaft. When a traditional two-stage drive solution isn't practical, the power of electromagnetics comes to the rescue. In this design, the motor enclosure and pump housing are separate. Instead of a single drive shaft and a potentially weak housing seal, radial motion is transferred from the mechanically isolated drive assembly to the impeller stage via a magnetic coupling system. That's a handy feature, especially when the pump is built to be submersible. Damaged centrifugal pumps are not a lost cause. If a small pond pump is broken, sure, it's cheaper to replace the unit than repair it back at the manufacturer's factory. However, larger centrifugal water pumps are easy to maintain. The bearings will require lubrication, the flow rate will require a little attention, and then there's a visual inspection to conduct. Otherwise, the pump can be pressed back into service. If the system is hampered by a low to moderate head, this positive displacement unit will adjust to handle that height related obstacle. It's the same with viscous fluid operability. 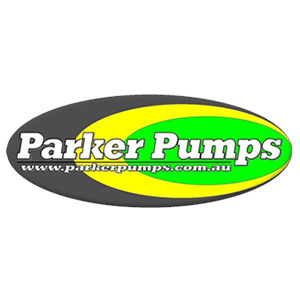 Centrifugal pumps manage thick and runny discharges with equal proficiency. Admittedly, magnetic couplings can slip if a load exceeds a stated fluid tolerance value, but this drawback is easily mitigated by selecting a design that's equipped with the correct pumping specs. Conventional profiles proliferate when centrifugal water pumps gain traction in a particular industry. For example, these pumps couple flawlessly to filtering stages and exotic impeller types in ponds and swimming pools. Stripped of all but the most essential drive components, the drive shaft and prime mover perform without issue. Even when there's a clog in the line, the fluid actuator retains its discharge capacity. When that clog passes, the rotating impeller resumes functioning, with nary a trace of a mechanical squeal.